When many Canadians hear the words “Alzheimer’s disease” or “dementia,” images of people with low cognitive abilities who are in the late stages of these conditions often come to mind. However, many people with dementia continue living their lives the way they always have and are active in their communities, working and volunteering, says Mary Schulz. 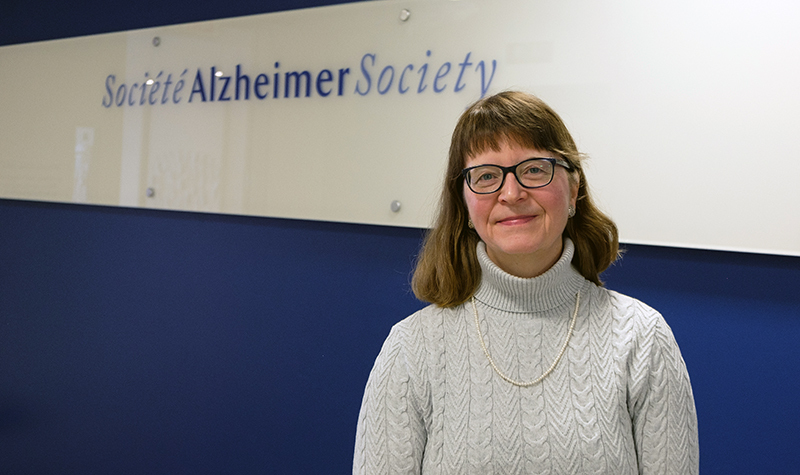 Schulz, the Alzheimer Society of Canada’s director of education, says the goal of the organization’s 2019 awareness campaign – entitled “Yes. I live with dementia. Let me help you understand.” – is to help Canadians recognize the preconceived notions about dementia they may have. To help Canadians understand that many people living with dementia are still active, the Alzheimer Society is sharing stories about people living with cognitive impairment who are active and living enriched lives. For example, one man from Ontario, Ron, discusses how he’s attending university. Keith, who was diagnosed with Alzheimer’s when he was 57, encourages others to empower and encourage people living with dementia to continue to live their lives they way they want. These stories can be accessed by visiting the campaign’s website at ilivewithdementia.ca. “What we are trying to do with the campaign is to help Canadians think about their preconceived notions of people with dementia, and do they have a friend or neighbour who is living with this disease and are they doing anything for them,” Schulz tells The OMNIway. Schulz says ending the stigma surrounding Alzheimer’s disease and dementia is important because of the way negative stereotypes are affecting people living with these conditions. “People with dementia tell us all the time that as hard as it is to live with the disease, what’s even harder is living with the stigma and the stereotypes and the prejudices that go with it,” she says. January is Alzheimer’s Awareness Month across Canada.